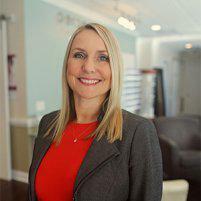 In addition to offering state-of-the-art eye care, Tara Parnell, OD, also provides TempSure™ skin rejuvenation treatments at Perceptions Eye Health and Wellness in Southport, North Carolina. Dr. Parnell wants to help you look your best and reduce signs of aging including wrinkles, fine lines, and loose skin. If you want to enhance the appearance of your skin, call Perceptions Eye Health and Wellness or make an appointment online today. TempSure is an innovative skin rejuvenation treatment that uses precisely controlled radiofrequency energy to stimulate collagen production in your skin. TempSure is FDA-approved and suitable for all skin tones and types. The radiofrequency energy heats your skin, which tricks your body into thinking it’s injured. Your body responds to this perceived injury by flooding the area with natural growth factors to repair and regenerate cells. This boosts your collagen production, which plumps your skin from within and reduces the appearance of wrinkles and loose, crepey skin. If you feel like you’re aging prematurely and want to take years off your appearance, call Perceptions Eye Health and Wellness to learn more about TempSure treatments and discover if they’re right for you. What happens during a TempSure treatment? TempSure treatments take 30-60 minutes. You relax in a treatment chair while Dr. Parnell guides the TempSure applicator wand over your skin. Your skin will get warm, but the treatment isn’t painful. Dr. Parnell gives you a customized treatment plan for your skin rejuvenation. However, most patients have a series of four TempSure treatments, spaced 2-4 weeks apart. And while the collagen production is permanent, it’s still subject to gravity and the aging process, so you may want to have touch-up appointments every 6-12 months. 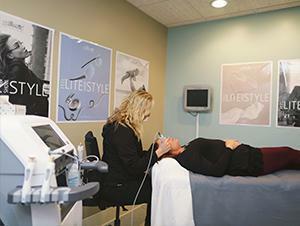 You don’t need to take any time off to recover from a TempSure skin rejuvenation treatment. Many patients have the treatment during their lunch hour and return to work with no sign of having a cosmetic procedure. How should I take care of my skin after a TempSure treatment? Your skin may be more sensitive to sunlight after a TempSure skin rejuvenation treatment. While you should wear sunscreen every day, you need to be even more careful as your risk for skin discoloration and other unwanted side effects increases after radiofrequency skin treatments. If you want to enhance your appearance, call Perceptions Eye Health and Wellness or book an appointment online to talk to Dr. Parnell about TempSure skin revitalization.